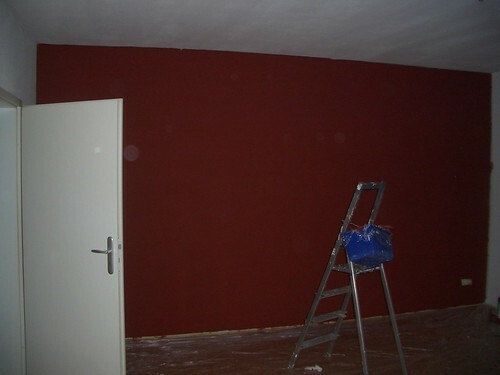 I always wanted to do this: paint one of my walls in a strong colour. 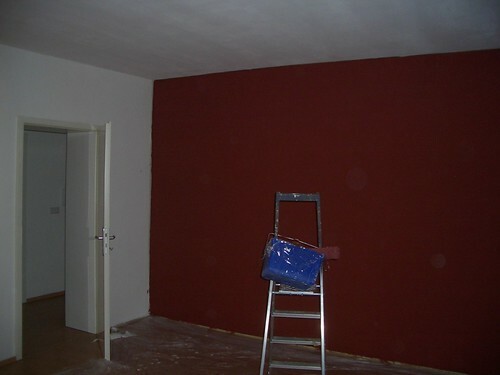 It had to be red and I decided to take a colour they call “Ziegelrot”. 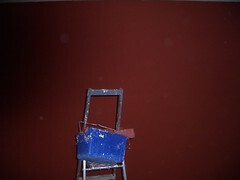 It is very srong and dominant and I took me a LONG time to paint it. I still find some sites to improve. What do you think? Mean comments are welcome but they have to be funny!